If you are looking for the newest luxury performance SUV that promises style, space, and advanced technologies, then stop into Land Rover Colorado Springs to check out the new 2019 Land Rover models! This inventory includes the brand new 2019 Range Rover Sport SUV – with our lowest priced model pictured above at $74,864. Equipped with a 3.0L V6 supercharged engine and paired with an 8-speed automatic transmission, you are can expect an estimated 17 MPG city/23 MPG highway fuel economy! Some of the other features you can enjoy include 14-way adjustable front seats, InControl Wi-Fi mobile hotspot, HomeLink garage door transmitter, power liftgate, real-time traffic display, low tire pressure warning, and heated door mirrors. 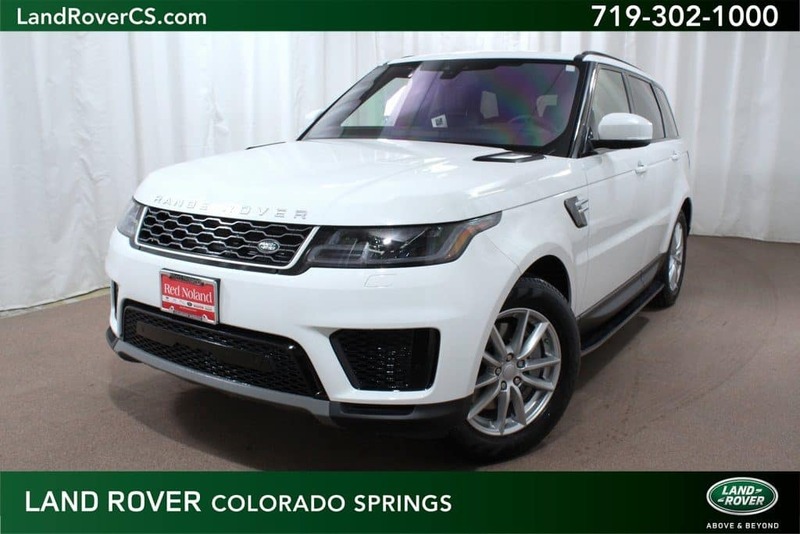 So, if you’re interested in upgrading to a luxury SUV, stop into Land Rover Colorado Springs to look at a 2019 Range Rover Sport and take a test drive to experience the perfect blend of luxury and performance.